Arthur Hailey’s book, Airport is published. Frank Zappa and the Mothers of Invention release the album, We’re Only in It For the Money. The first performance of Edward Albee’s short play, Box and Quotations from Chairman Mao Tse-Tung is performed at the Studio Arena Theater in Buffalo, NY. President Johnson mandates that all computers purchased by the federal government support ASCII (American Standard Code for Information Interchange). President Johnson barely defeats antiwar candidate Eugene McCarthy in the New Hampshire Democratic primary. Nerve gas leaks from the U.S. Army Dugway Proving Ground near Skull Valley, Utah. 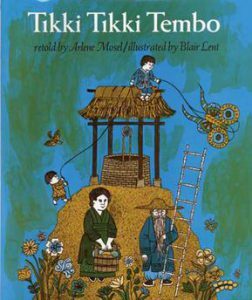 Tikki Tikki Tembo by Arlene Mosel is published. Cover of book, Tikki Tikki Tembo, by Arlene Mosel. On this date, American troops massacre between 300 – 500 civilians in Vietnam. This was only later discovered in November of 1969 and would forever be known as the My Lai Massacre. Sen. Robert F. Kennedy announces his entrance into the race for the Democratic candidate for President. Italian composer, Mario Castelnuovo-Tedesco passes away in California. Mel Brook’s film, The Producers debuts in theaters. Danish film director, Carl Theodor Dreyer passes away in Denmark. Daniel Cohn-Bendit and 7 other students occupy the administrative offices of the University of Nanterre. This was the beginning of political protest, which would come to a head later in the year bringing France to the edge of revolution. 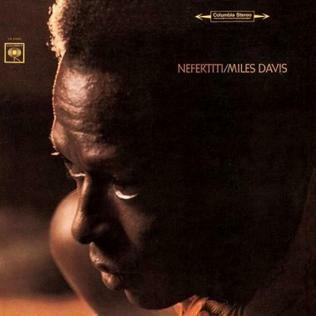 Miles Davis releases his album, Nefertiti. This is the cover art for “Nefertiti” by the artist Miles Davis. The cover art copyright is believed to belong to the label, Columbia Records, or the graphic artist(s). Peter S. Beagle publishes The Last Unicorn, which later is developed into an animated film starring Mia Farrow. Tennessee Williams debuts his play, The Seven Descents of Myrtle, adapted from his short story “Kingdom of Earth,” at the Ethyl Barrymore Theater in New York, New York. Detective film, Madigan, starring Henry Fonda debuts. On national television, President Johnson announces, he will not run for re-election. Be sure to come back at the end of next month when we look at what happened in April of 1968!